Never lose your pen again. 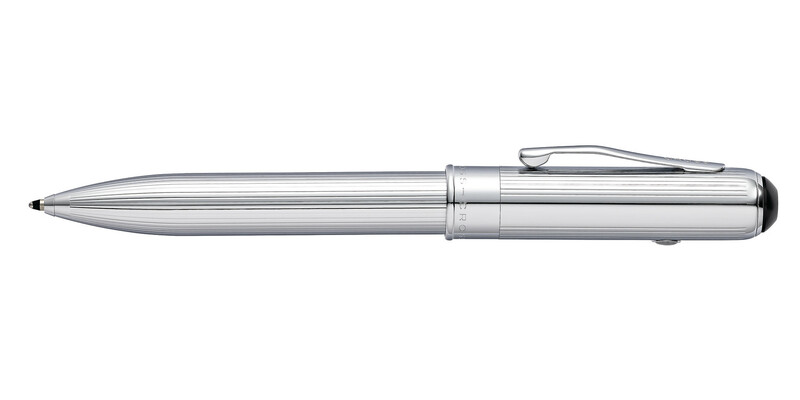 Bold both in size and concept, this innovative pen will not go unnoticed. Its design is reminiscent of futuristic steam trains seen on 1940s and 1950s era posters. The tracking device inside offers a suite of features to ensure you never get separated from it (or your phone). It’s a truly unique writing instrument to own or give as a gift.